1935-57 U.S. Easter Charity Seal Imperforate Proof Set Collection, full gum, F/VF, MNH. Imperforate seals or sheets have no perforations or rouletting at all. 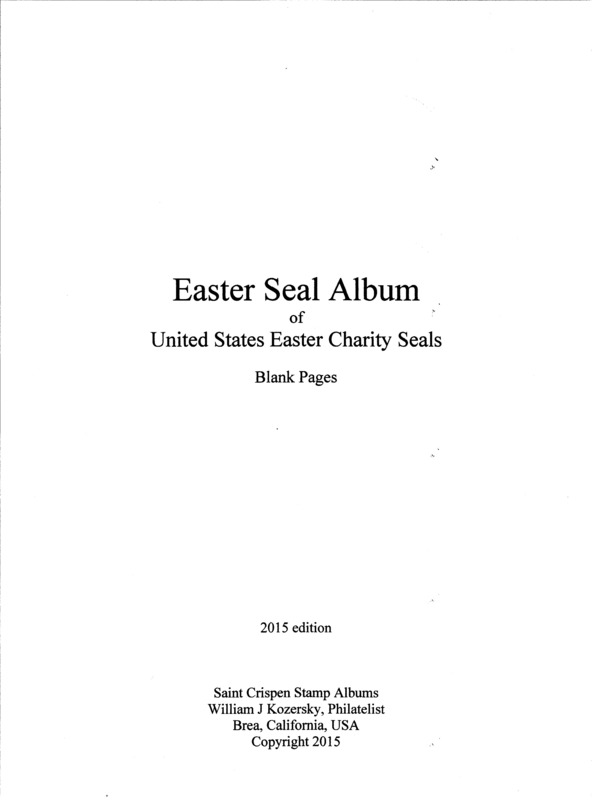 Easter Seals are usually classified as Charity Seals or Cinderella Stamps. 1935-57 U.S. Easter Charity Seal Imperforate Pairs, Proof Collection, full gum, F/VF, MNH. 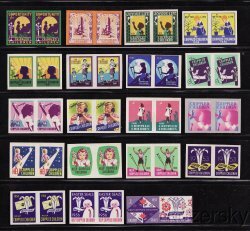 Missing Imperforate pairs for 1949, 1951, 1952, 1955. 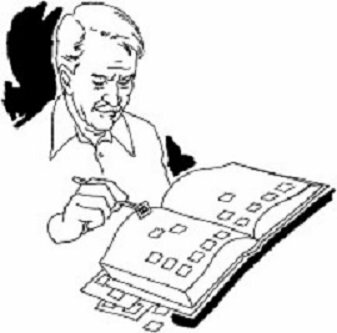 This is the collection as required by the various catalogs and stamp albums. Collection is fresh, with full gum. Scan is an example of the contents of this seal collection. However, the scan does not fully illustrate the vibrant colors of the collection. Imperforate seals or sheets have no perforations or rouletting at all.